President Rodrigo Duterte said he will not resign if it will make Vice President Maria Leonor "Leni" Robredo the next president of the country. 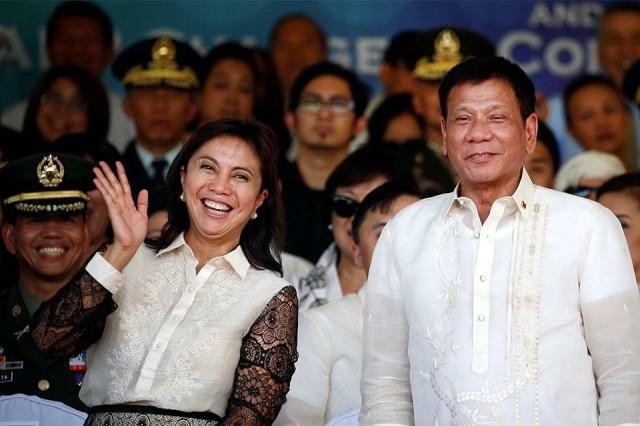 Duterte said in a chance interview with reporters in Clark, Pampanga that VP Robredo's 'incompetent' would never be fit to to become the next President to lead the country. "Siya ang mag-presidente? Look, I will not resign because it will make her president. My resignation is addressed to the people para makapili sila ng gusto nila. Siya, I don't think she can ever be ready to govern my country,"
"Reason? Incompetence. She is not capable of running a country like this -- Philippines," he added. The Chief Executive also said that the next President of the government should be elected by the people, so they can choose who they want and not through a "succession." "Wala. Hindi ako papayag ng succession. 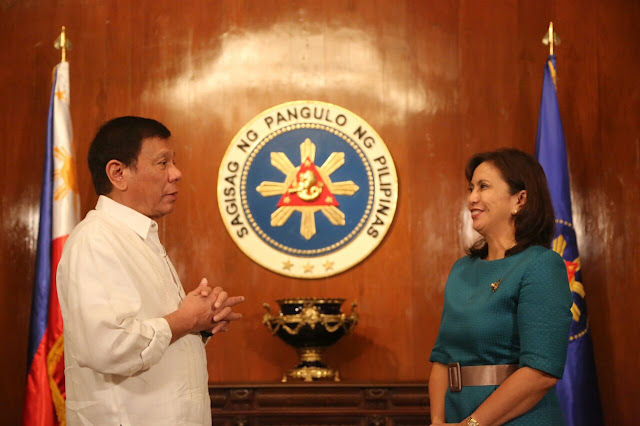 President Duterte's statement came after VP Robredo made pronouncement that she is willing to take take a lead to unite the opposition coalitions against Duterte administration. Robredo responded the call of various opposition groups to unite and lead voices to opposing President Duterte. On Monday, Duterte has declined a proposal under the draft federal charter to make him the head of a transition government and said he don't want any role in the transitory government and wanted the Filipino people to elect a "younger" new leader for the transition once the proposed federal system is approved.